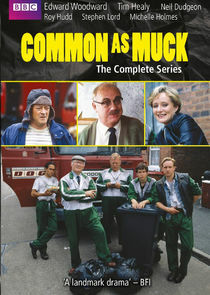 Edward Woodward leads his gang of bin men on to the highways and driveways of William Ivory's BAFTA-nominated comedy drama. The six-man crew proves troublesome, not just for some of their 'customers' but also for the suited bureaucrats at the council offices who are ready to wave the threat of privatisation over their rebellious heads. On their rounds, Nev and his crew know every trick in the book, but life is changing and the bin men are facing the stark realities of a corporate take-over and even redundancy. Staunchly fighting for their survival, they still manage to have fun. The popular series first screened on the BBC in 1994 also features Paul Kember, Stephen Lord, Richard Ridings, Kathy Burke, Douglas Henshall and Saeed Jaffrey.